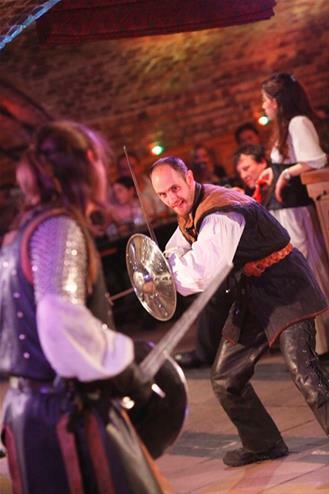 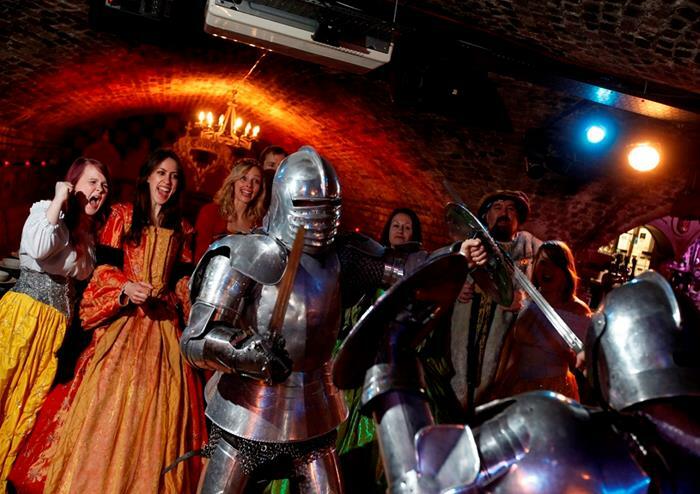 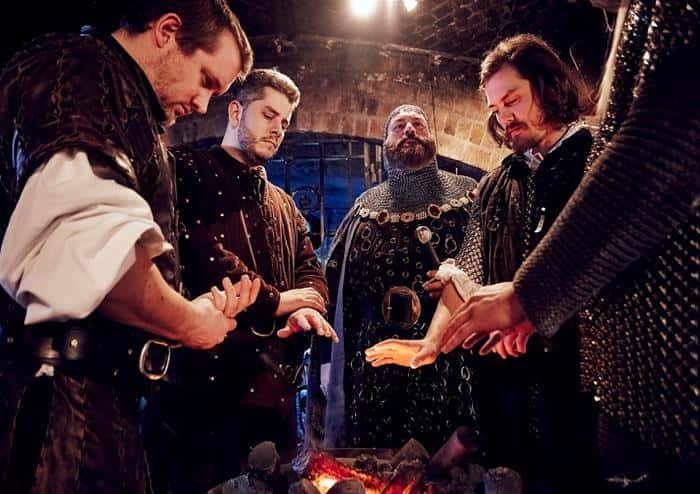 Experience an entertaining medieval feast in the heart of London! 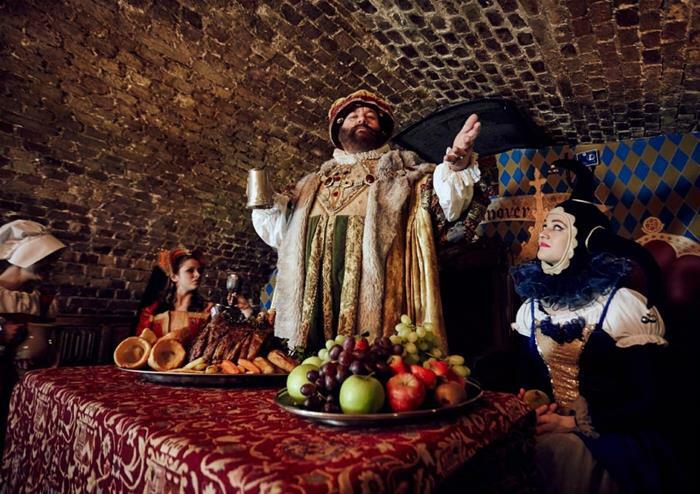 Join King Henry VIII as his royal guest and tuck in to a delicious medieval banquet while enjoying a number of specialty acts – you could see knights, jesters, strongmen, contortionists and magicians! 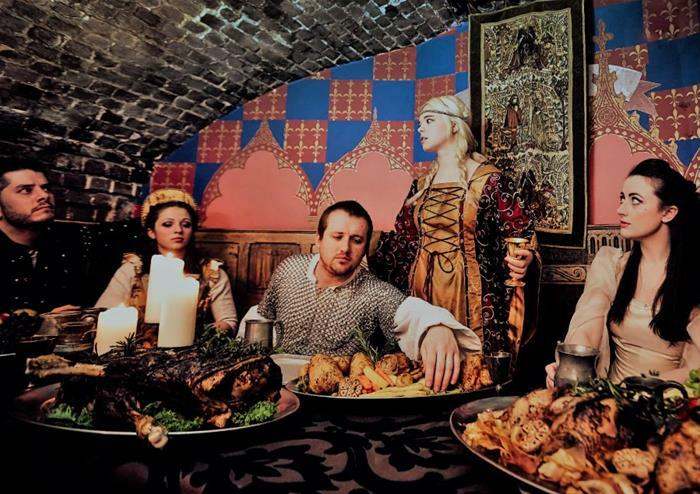 Thump the table in appreciation, or boo in disgust! 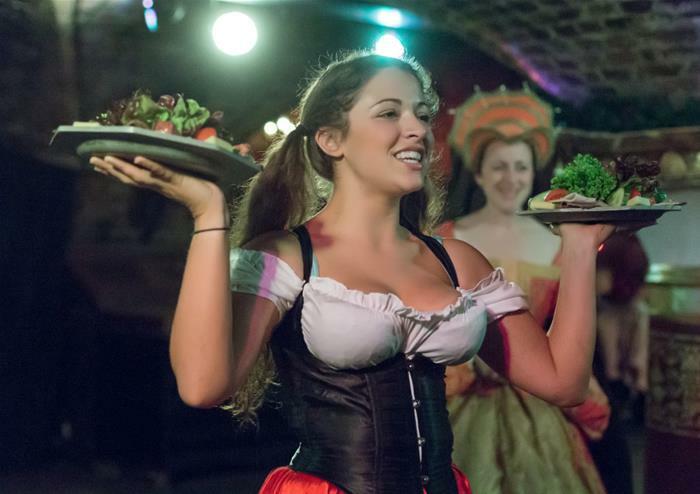 Your wench will be on hand to bring you food and drink as the entertainment unfolds. 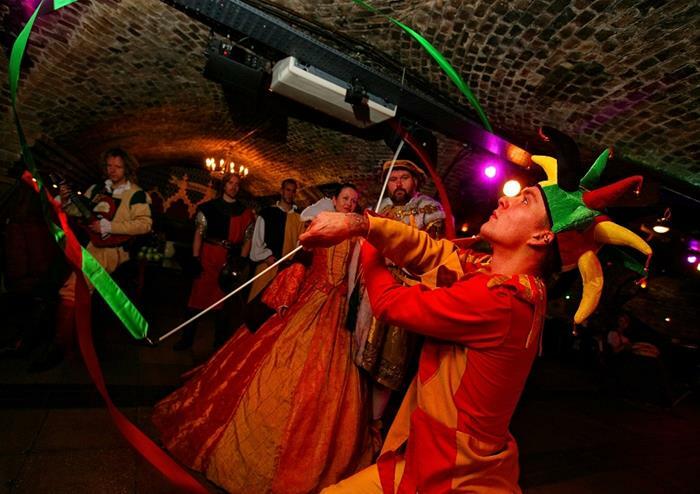 The venue is located in historic St Katharine Docks, which trace their roots back to King Edgar in the 10th century and the legend of the Portsoken Knights. 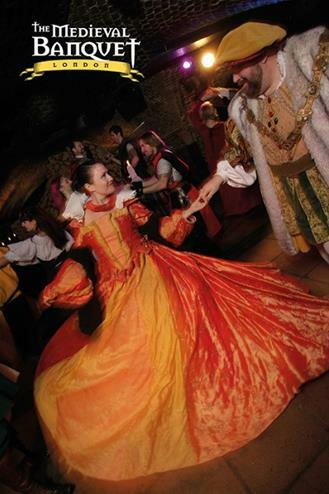 Your evening will include a four course banquet with wine and ale and dancing that goes on into the night! 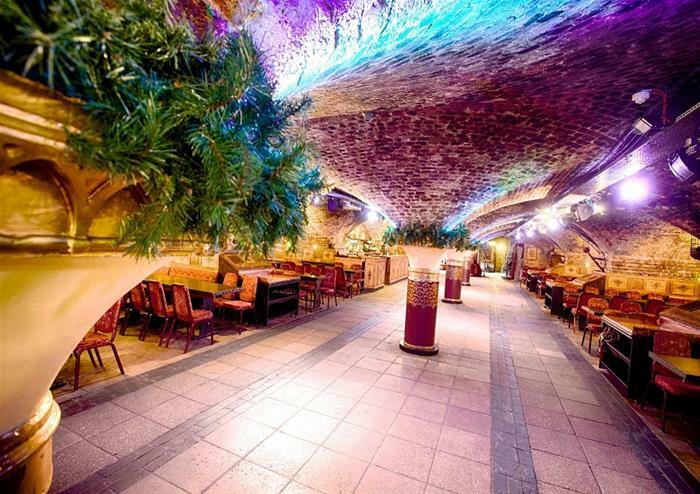 On Fridays, The Dark Knight theme will be running.